USAID unearthed a major corruption scandal in Russia in the late 1990s involving Harvard University’s Institute for International Development. Dr. Janet Ballantyne, USAID’s mission director, blew the whistle. In her oral history, Ballantyne discusses the consternation this caused with U.S. Embassy leadership, and the repercussions of her reporting on relationships with key Russian officials. Throughout the 1990s, after the fall of the Soviet Union, the United States and Russia worked together to implement privatization and other economic reforms. USAID funded the Harvard Institute for International Development (HIID) to help design and implement major economic reforms in the country, including privatization and market reforms. In 1997, however, HIID contractors were found to be using their access to insider information for their own benefit. Harvard later settled with the U.S. government in 2005 and paid what is believed to be the largest settlement ever by a university in a case of this type. The Helsinki Final Act, an agreement signed by 35 nations at the Conference on Security and Cooperation in Europe (CSCE) on August 1, 1975, addressed a spectrum of global problems and had a lasting impact on U.S.-Soviet relations. The Helsinki Final Act dealt with a variety of issues divided into four “baskets.” The first basket dealt with political and military issues, the second economic issues, trade and scientific cooperation. The third basket emphasized human rights, and the fourth formalized procedures for implementing the agreements. The multilateral negotiations were stressful and demanding. In this case, one means of reaching decisions on the four baskets came in the form of basketball. But just as in the case of diplomacy, in basketball you can run across “ringers” – people whose abilities may not be readily apparent. 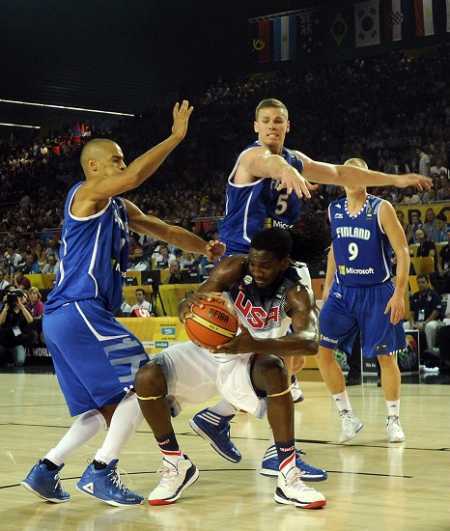 Not everyone knew that Soumi – Finland – had its share of athletic diplomats who could make a lay up. Jonathan Greenwald, who served as the Legal Advisor to the U.S. Mission in West Berlin from 1973-1977, highlighted the role that basketball played in bringing together different delegations during the negotiating process of the Helsinki Final Act, in an interview with Raymond Ewing in March 1998. In August of 1991, hard-liners opposed to Soviet President Mikhail Gorbachev initiated a coup attempt to overthrow him. The rebellion occurred in part because of financial strife as the Soviet Union transformed quickly from a statist to a market-based economy. Long lines formed for essential goods including medicine and fuel, and grocery shelves were empty. Inflation rates rocketed upward as the winter approached, leading to factories lacking the funds to pay their employees. The economic crisis reflected badly on Gorbachev’s leadership and encouraged resistance to the regime. The coup was led by members of the Communist Party of the Soviet Union (CPSU). They held Gorbachev at his country home, demanding that he either resign or declare a state of emergency. However, following heavy civil resistance, the coup attempt ended unsuccessfully a few days after it began. 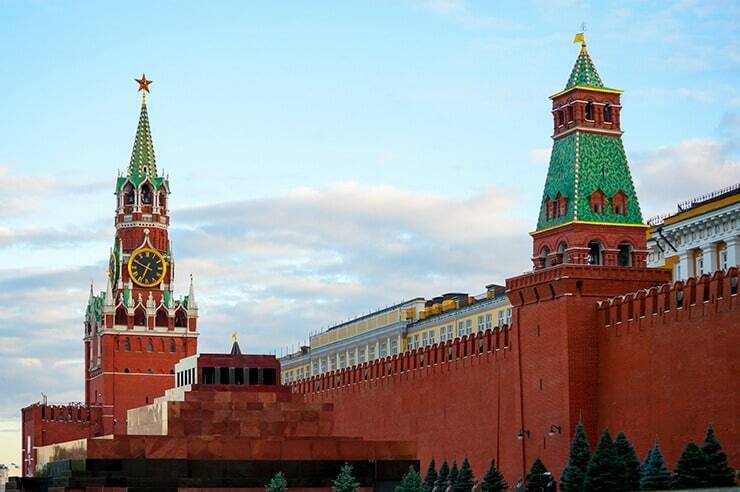 Although the takeover ultimately failed, the attempt signaled an end to the Soviet era and contributed to the dissolution of the USSR at the end of 1991. It also led to the rise of Boris Yeltsin, the Russian president, who played a pivotal role in opposing the coup from Moscow. While the rebellion ended with little bloodshed, it raised anxiety among those who experienced it first-hand, many of whom feared a rise in violence and a return to hard-line Communism. Naomi F. Collins, wife of Deputy Chief of Mission (DCM) to the U.S. Embassy in Moscow James F. Collins, lived in the U.S. but was visiting her husband in the Soviet Union during the coup attempt in 1991. She recounted her experience in an interview with Charles Stuart Kennedy in February 2012. On October 9, 1983, while South Korean President Chun Doo-Hwan was on a visit to Rangoon, Burma to lay a wreath at the Martyr’s Mausoleum of Swedagon Pagoda, a bomb concealed in the roof exploded, killing 21 people including four senior South Korean officials. President Chun was spared because his car had been delayed in traffic and he was not at the site at the time of the detonation. 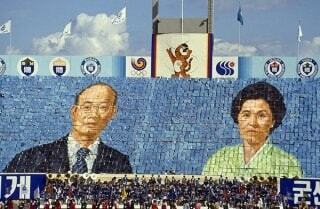 Chun had seized power in South Korea in December 1979. His tenure as president was characterized as poor on human rights and strong on economic growth and harshly enforced domestic stability. He was on a diplomatic tour in Rangoon when would-be assassins believed to have received explosives from a North Korean diplomatic facility targeted him. It was during Chun’s administration that South Korea hosted the 1988 Seoul Summer Olympics, in which North Korea refused to participate. As a result of the Rangoon bombing, Burma suspended diplomatic relations with North Korea and Chinese officials refused to meet or talk with North Korean officials for several months. Thomas (Harry) Dunlop served as Political Counselor under Ambassador Richard L. “Dixie” Walker in Seoul from 1983-1987 and recounted his experiences in an interview with Charles Stuart Kennedy in July 1996. Paul M. Cleveland served as the Deputy Chief of Mission from 1981-1985 and was interviewed by Thomas Stern in October 1996. The Foreign Service Institute (FSI) is the primary training institution to prepare American diplomats to advance U.S. foreign affairs interests, teaching, among other things, the languages of the countries where Foreign Service Officers will serve. At the National Foreign Affairs Training Center in Arlington, Virginia, FSI’s School of Language Studies provides 25 hours of classroom instruction per week in 24-week courses for languages such as French and Spanish, and 44 weeks for “hard” languages such as Russian and Thai. For Arabic, Chinese, Japanese and Korean, considered the most difficult to learn, FSI has Field Schools abroad that provide an additional 44 weeks of instruction. Among the pioneers in this endeavor, Raymond E. Chambers taught languages in Haiti, France and Lebanon, as well as at FSI. He was interviewed by Charles Stuart Kennedy on January 12, 1995. With the end of the Cold War, the U.S. began to put greater emphasis on enforcing its policy of protecting human rights worldwide, based on the core belief that people have a set of inviolable rights simply on grounds of being human. Some foreign counterparts were skeptical that the U.S. would give priority to human rights at the expense of other goals. Among them was President Vinicio Cerezo Anevalo of Guatemala, who refused to accept the word of Ambassador Thomas F. Stroock that the U.S. would no longer tolerate human rights abuses in his country. This led Ambassador Stroock to devise a plan to prove that his admonitions did in fact reflect the official stance of the U.S. Government. He decided a letter of support from President George H.W. Bush would persuade Guatemala’s president. The question now was how to get President Bush to sign it, and it had to be done in less than a week. After nearly 50 years of brutal apartheid in South Africa, it is almost impossible to imagine how people could coexist peacefully. However, the new, post-apartheid government demonstrated the power of reconciliation, which eventually served as a blueprint for similar initiatives throughout the world. Apartheid, the racial segregation system in South Africa, lasted from 1948 to 1994. During this time, black individuals in South Africa were deprived of citizenship and virtually every aspect of life in South Africa was segregated by race including education, neighborhoods, medical care, and public spaces. As a way to heal the deep wounds among people, the new Government of National Unity in 1995 established the Truth and Reconciliation Commission (TRC), which invited perpetrators of violence to speak about their past transgressions. The idea was that if people spoke to one another as fellow human beings, it would provide an opportunity to heal and forgive and thereby allow reconciliation to occur. The TRC lasted until 2002 and, despite some flaws, was widely viewed as a success and served as a model for similar systems around the world in post-conflict communities. In one famous case, American Fulbright Scholar and anti-apartheid activist Amy Biehl was brutally stabbed to death by four black men in 1993 while driving in Cape Town. The four were convicted of murder but were eventually released as part of the TRC process. Biehl’s parents not only forgave her murderers, they established the Amy Biehl Foundation Trust, an organization that leads community programs designed to prevent future violence in Cape Town. Monica Joyi worked for the TRC Media Office from 1996-1997 during its inaugural years. In her interview with Dan Whitman in 2009, she talks about her job at the TRC in 1996, her reflections on the Amy Biehl incident, and what it was like to work for a leader of the TRC, the “Arch”, Nobel Peace Prize Winner Archbishop Desmond Tutu. In the late 1970s, the USSR had been supporting the Afghan government in its fight against rebels, who had made considerable inroads and controlled territory outside Afghanistan’s major cities. Determined to squash a growing threat, the Soviet Union invaded Afghanistan on December 24, 1979. Soviet troops and swarms of helicopters overthrew the government, which Moscow believed had contributed to the instability, and installed a pro-Soviet government, forcing millions of Afghanis into refugee camps in neighboring Pakistan and Syria. Alan Eastham was the Principal Officer at the U.S. Consulate in Peshawar from 1984-1987, and discusses his time in Pakistan during the Soviet invasion of Afghanistan. He was interviewed by Charles Stuart Kennedy beginning in July 2010.